Every child is thrilled by the prospect of a picnic in the great outdoors. With our Terra Kids cutlery set, knife, fork and spoon are immediately at hand to dig into picnic goodies. 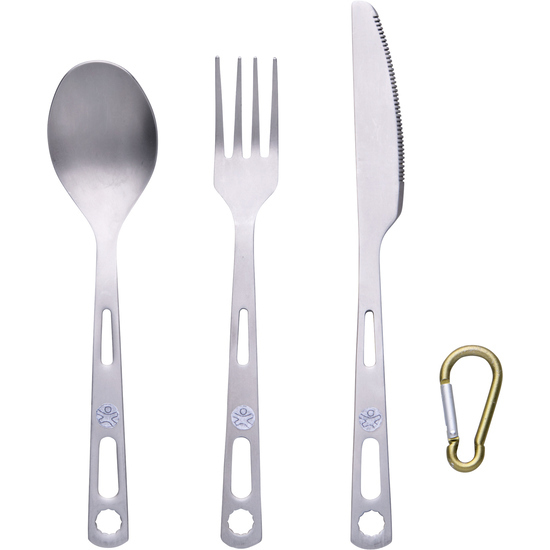 The set comes with an aluminum snap link to attach the cutlery to the child’s backpack. Contents: 1 knife, 1 fork, 1 spoon.